The quintessential question is, how are we shaping our legacies as educators every single day? How are we cultivating minds early that aim to create change in and for their own communities? Are we dream-keepers or are we gatekeepers? One evening, sitting on the floor in our hotel room in Oakland, Zeke started drumming on a plastic cup. Then he sang for a while as he drummed. Photo by Matt Halvorson of Sandra Kim’s ideas. Time keeps passing. The system keeps on revealing more and more of its flaws, shortcomings and downright bad intentions. We continue to search for solutions, but our kids are carrying the burden of our inability to change. Today’s planet faces many tough challenges. High school has helped me understand that while challenges can be daunting, they can be overcome by hard work and innovation. I’d like to study bioremediation, which is learning how to clean up the environment from toxins that degrade our ecosystem and the organisms that live in them. One of my most memorable experiences at Summit Sierra was seeing — in real-time — the impact bioremediation can have. We conducted an experiment in science class that demonstrated the process of cleaning up radiation from nuclear fallout where we planted mustard seeds. To see this powerful process in-person reinforced my interest and determination to improve our environment and that it’s possible to work toward a sustainable and more livable planet. I firmly believe that God is LOVE, so I want to first give honor to God for hopefully manifesting that agape love through me to others. Secondly, a big shout out to Matt Halverson at RiseupforStudents.org for his belief in all children, his belief in me and allowing me to join his platform to share about the dopeness that I’ve been blessed to encounter. Lastly to my Mom, Dad, my nephsons, young lives in the Batcave, friends, and family, just love, just love! Now with all the mushy stuff out of the way, LOL, the dope thing about writing these has become that I learn so much more about people that I’ve been able to encounter in this journey we call life. We have so many local heroes/heroines that go in and out of our lives daily, we have to slow down sometimes and just say, I see you and all that you do. The best part of Black History Today is the moment one of the articles are posted and you get to see all of the likes and comments from other people, sharing their appreciation for folks who don’t always get to hear how much they matter. Conversely tied for the worst part, is these being surprises to those being written about because I feel like I leave so much on the table about them and there only being 28 days in the month! Writing daily gives me great respect for anyone who writes for a living, as the process of writing is daunting in and of itself, coupled with making sure that to those who don’t know these people their essence is properly conveyed. You never truly know how much you use the word, embody until you’re writing every day, lol. There are so many Black People, who are doing amazing things, some in synergy and some in silos. The collective impact is astounding, it makes you wonder what could be, even in a city like Seattle (where most of the folks are) if there was an opportunity for collective impact of all these incredible efforts and talents. People who live lives of service, rarely ever take pictures by themselves. Amongst all of this year's Black History Today showcases, the hardest thing to do was to find a picture of them, alone. That common trend made me realize that being with, being near and loving on others just isn’t what these people do, it is indeed who they are. In a culture of selfie sticks and look at me, they are selfless and look at us. To steal a quote from a great influence of mine, coach Walter Kramer down in San Antonio, “I am but a shallow reflection of the reflection of life that have shined into mine”. I would often have to take breaks from writing some of these and truly be grateful for the fantastic people that I have been blessed to encounter, whether in Seattle or LA, Atlanta or the Bay, in a world that doesn’t showcase ordinary people doing extraordinary things, it is not lost on me that I am indeed blessed to know them! I truly am honored to be able to share about these people, please know the original list is much more than I can ever write about, which means there will be 27-30 more folks next year (and years to come) for us to learn about and honor. My hope is though that we don’t wait until February, or birthdays or the holidays to truly celebrate those in our lives that do amazing things. My greatest lesson came in the same form through three of the features, Mrs. Jones, Justin Cheadle, and Jamal Crawford. Mrs. Jones is in the form of giving people the flowers while they can still smell them because she deserved that and I missed an opportunity to tell her the last time I encountered her, ironically, she teaches me one last lesson I won’t fall short on again. Jamal, in the form of as the universe having it, me seeing him a couple of weeks after writing his and him saying, “We’ve known each other 20 years, I never knew you looked at me like that” which was striking to me, because I say what I wrote about him to everyone, but I’ve never said it to him, so sometimes we assume people know, even those who write articles to inspire us to share more gratitude, (message!). Lastly with Justin, who I communicate with about fitness and life almost daily, who I never knew despite his success (Cal, NFL, Dope Father/Husband/Trainer) what the affirmation in the identity in being “Black” let alone “Black History” meant for and to him, his response moved me emotionally as at times in my life, I’ve felt that same way of not being “black” enough. It speaks to affirming life into those who are our history, today. I truly thank you all for going on this year's journey with me, I hope you stick around for the bi-weekly blog, support RiseupforStudents.org other content and most importantly, love each other authentically and intentionally. Each and every one of us is here for a purpose, somebody somewhere sees you! Keep showing up in spaces, keep making history in your office, classroom, kitchen, barbershop and just by being, you! Live today and every day with purpose and on purpose, as we’re all truly, Black History, today! Webster's dictionary defines the word Synergy as the benefit that results when two or more agents work together to achieve something either one couldn't have achieved on its own. It's the concept of the whole being greater than the sum of its parts. One of the cultural earmarks of the black community has always been its ability to band together in times of strife, yet finding synergy to thrive beyond surviving, is often difficult. That is multiplied when it comes to African American males, many who spend much of their energy surviving the day in the workplace, education space and sometimes just in general. Synergy, however, isn’t just acquired amongst humans, there is some natural chemistry that happens, yet much like any relationship, it takes trust, work and a belief in oneself, each other and a commitment to something greater than oneself. CJ Dancer and Willie Seals, epitomize that synergy which radiates into energy that has affected the educational and life outcomes for young people across the state of Washington. CJ Dancer a native of South East Seattle attended Cleveland High School and then the University of Washington. CJ’s demeanor and personality hide the still waters that truly are an evolutionary force, whether blazing the trail in college, revitalizing social organizations, leading statewide organizations and people of color toward the STEM Fields, leading the City of Seattle in a free college for all campaign or tutoring young men and women at the local goodwill to pass the SAT, CJ has found himself not just committed to but leading a life of service. Willie Seals III is the definition of authentic servant leadership, a roll your sleeves up throwback, his journey began in the Central District of Seattle, WA. Attending Garfield High School and eventually graduating from Chicago State University, Willie has led a life of light and discovery that has helped shine into others. Whether as a student-athlete in track & field, dawning the infamous red city year jacket and timberlands, affecting policy change with the Puget Sound ESD or setting an example for healthy living, Willie is always moving and evolving forward. While fulfilled with their individual success, they knew there was more. The casual conversation turned into an intentional conversation which transformed into purposeful action. In 2012 their synergy would turn into the energy that would become their Co-Founding of the Academy for Creating Excellence, an organization whose mission would be to create environments for African American young men to thrive and for African American men to feel a sense of worthiness and dignity, specifically within the educational space. Now in its seventh year of existence, the vision of these two men has become a reality, serving across six schools in Puget Sound to better societal and educational outcomes for African American young men. However, what is most remarkable about both men, is their commitment to living their teachings. CJ, a proud husband of his supportive and inspiring wife and his two children, making sure that he is everything he had and didn’t have as a child is everything and more he gives to his children. His service to the community never outweighing his first commitment, which is his family. Not to be outdone, Willie is one of the most committed and proudest fathers you’ll meet. Raising three sons (alongside an awesome mother of their children), Willie serves as coach, friend, confidant, bowling partner and true role model for what he wants his sons to be. Whether at his sons' school, the soccer field, basketball court or spelling bee, Willie is often not only father to his sons but surrogate to those fathers who can’t be present. These two men model the phrase they often have all of their young men repeat, not just as a mantra but as a statement of fact when they ask the question, “Who Am I?” and require the response, “I am Excellence”. Cj and Willie have utilized their own triumphs and more importantly their triumphs as educators, social servants, sons, brothers, fathers, husbands and as men to create space for young men and other men to stand beside them and seek their own excellence, no ego, no jealousy, just brotherhood and a commitment to excellence. Cj Dancer and Willie Seals bring the energy of synergy into any environment they enter, they are truly making an impact in the lives of hundreds of young men and their families, they are excellent and they are Black History, today! As a society, we have become fascinated by sports as entertainment. Particularly in the black community, while cliched, sports is often seen as a way to create a better opportunity for your family and community. They say sports sells either success or hope, yet for those who have participated, you know that sports are so much more. It is real-time feedback that teaches, success, failure, progress, and teamwork. To be a coach is to be a steward of all of those values and maybe more importantly to embody those values. The ultimate job of a coach is to be a leader of men/women and there may be no greater example of that in the country than Coach Mike Bethea. Coach Mike has been an institution as the head coach of the nationally known Rainier Beach Viking High School Boys Basketball team since 1994 when this writer was a freshman in Highschool. There have been many articles written about Coach Mike, many laments his success as a head coach, winning eight state championships (1998, 2002, 2003, 2008, 2012, 2013, 2014, 2016) and runner up (2001, 2004, 2015, 2017, 2018). 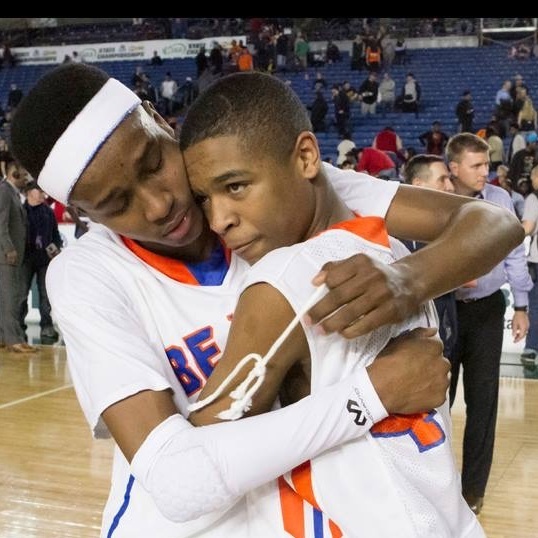 As of this writing, Rainier Beach is back in the state Semifinals looking for State Title number 9. While Rainier Beach High school is known for its sports, what’s little known about the school and its alumni is its commitment to the community, especially for those whom others didn’t believe in or give a chance. If the building of Rainier Beach is the body than the community is the heart and Coach Mike Bethea is the soul. The high profile lives he’s affected get plenty of attention, yet what people don’t see is his commitment to the troubled youngster who needs basketball, not for a scholarship or even to display their talent, but because they need a safe space to be and positive peers to be around. While many watch Basketball to see the players' positions 1-8, play close attention to the players 9-12 (sometimes 13/14) and the young JV/Freshman players, the ones who need to be on the RBV basketball team may be more than the team needs them. Coach Mike’s commitment to his team is just like a father would his family, if you attend an RB Basketball game, it’s more akin to a family reunion than it is a sporting event, his impact ranges from making sure his players get home all the way to make sure they have a home to stay in, period. Coach Mike is as committed to his team as he is his family, a proud husband, prouder father of three adult children, Dion, Deedee and Angie who are all successful in their own right and now all coach on some level, paying forward what’s been paid to them. His heart is probably best on display as a grandfather of his six grandchildren (with two more on the way). Coach Mike’s success pales in comparison to his true impact off of the court, he has truly impacted the lives of an entire community, seen and unseen. Whenever he decides to hang up his clipboard and polo/suit jacket, they will need to rename the gymnasium the Mike Bethea Complex because it is truly, the house he has helped build. Mike Bethea is the definition of a legend, the leader of men and a glowing centerpiece in the Crown Jewel of the Southend. Coach Mike Bethea is indeed, Black History, today! "I have learned that success is to be measured not so much by the position that one has reached in life as by the obstacles which he has had to overcome while trying to succeed." In an era in which truth is under attack for what is comfortable, authenticity is sometimes seen as weakness, and recollection of the facts as heralded as “fake news.” Those that still want to stand for what is true, what is authentic and what is good are in great number, yet often lack the platform — and sometimes the courage — to stand in those values. Marcus Harrison-Green has embodied and championed those values for the last few years. Born in the legendary Southend of Seattle, Marcus (what a glorious first name) attended private schools — often as the ‘only’ Black student — and upon graduation from high school he attended California Lutheran University. While at CLU Marcus experienced what many do when they “get out” and find themselves in predominantly dominated culture spaces. He was the token Black student in a place he says believed in “Reagan, Money and God...in that order.” Upon graduating Marcus walked down the path many are told to travel: get a good job, stash your money and live happily ever after. However, Marcus’ happily and ever-after weren’t connected to working in a small investment firm, having a nice house and driving a nice car. His happily-ever-after was connected to writing — specifically telling the stories of the communities and the people who often hadn’t had their stories told properly. Marcus made one of the most courageous and impactful decisions of his life when he walked away from it all, packed his life up and moved back in with his parents to begin the journey of writing about others’ journeys while living his own. In 2014 Marcus founded the South Seattle Emerald, to explore the lives and stories that were true to the people he knew and interacted with everyday, behind the headline sensationalism that often depicts Southeast Seattle. Since that time Marcus has helped steward the Emerald to be a viable source for reliable storytelling and news in Seattle. 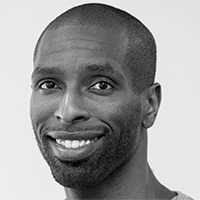 In 2018, Marcus took that experience with him to the Seattle Times to promote that same voice and energy of the Southend to the greater Seattle region. Marcus’ greatest story, though, may he his own, opening up about his battles with mental health, self love and self worth. The courageous nature of a man who shares others’ stories of triumph and trial with the world, openly sharing his own, true leadership and truly newsworthy. Marcus has had an odyssey that has taken him on a journey of self-discovery and examination that have led to his gifts manifesting in service of his community. Lois Lane once said about her famous reporter friend Clark Kent, “That's the thing about heroes. No matter how brightly you shine the light on them, they always want to stay in the shadows." Marcus Harrison-Green is a hero who prefers the shadows, but deserves the spotlight. He is a voice for the voiceless, for the community in the community, and that among many reasons is why Marcus Harrison-Green is Black History, today! However, one of the aspirational staples of a young childhood in that era was seeing the image of a Black doctor and a Black lawyer having functional, everyday-life conversations and promoting Black excellence. Claire Huxtable served as an image for many to aspire to. While Claire inspired a generation, we needed real examples in our lives to truly know what could be possible in a field that many times doesn’t look like it’s meant to serve us. Adrienne Decuire-Packard is that reality of Black excellence — a fictional image come to life. Born and raised in Seattle to a large biological and extended family, Adrienne is a proud alumnus of Garfield High School and the University of Washington, and her passion for justice is evident upon meeting her. Adrienne is the personification of passion and joy, and it was her passion that pushed her across the country to pursue her dream of becoming an attorney at the prestigious Howard University School of Law. Through trials and triumph of charting unknown territory, Adrienne graduated and passed the bar, along the way finding time for love with her supportive husband, Darryl. Her passion would then spread to different cities, Boston and Chicago, where Adrienne would serve as a voice for the voiceless in civil rights matters as a staff attorney for the American Bar Association. Eventually she married her gifts of advocacy and education together, becoming the Associate Director of Student Affairs at the University of Chicago Law School — in service of all students, yet fiercely creating pipelines for women and students of color. For Adrienne, the adage “You can’t go home again” doesn’t apply, as in 2015 she was offered to return to her second home — the Mecca, Howard University School of Law — as the Director of Student Affairs, utilizing her passion to fulfill her purpose of servant leadership, shining as a realistic example for others to see and be. Adrienne's passion for the profession and for creating pathways within it are only exceeded by her passion for her family. As a loving daughter, inspired little sister and proud big sister, the art of love was shown to her at an early age. She manifests that art as a powerful wife and loving mother to her three incredible children. Because of women like Adrienne, we don’t need made-for-TV accounts of powerful Black women living fully in spaces that we once never saw and thought possible. Her advocacy to help shape and create better environments and opportunities for Black women is inspiring, and her ability to balance those as a 3D model for living life's purpose and passion is astonishing. If the scale of justice is the pursuit of a perfect balance between love and advocacy, then Adrienne pushes those scales to change the world for the better days, which is why Adrienne Decuire-Packard is Black History, today! Fear is not real. The only place that fear can exist is in our thoughts of the future. It is a product of our imagination, causing us to fear things that do not at present and may not ever exist. Do not misunderstand me, danger is very real, but fear is a choice. Living life fearlessly and authentically are values often espoused but rarely actualized. Not because people don’t have the desire or the skill, but oftentimes because we’ve rarely paid attention to the people who have done it. To live absent of fear is almost impossible, yet to choose to live a life allowing your fears to fuel your passions and doing it in a way that inspires to do so as well — that’s authentic living! Lull Mengesha lives authentically and fearlessly! Born to immigrant parents in Seattle, raised in the glorious South End, proud alumni of Rainier Beach High School and later the University of Washington, Lull has never been afraid to embrace thinking and being different. Lull began to discover his fearlessness as an undergrad at the UW, beginning to openly challenge his own thinking and the shortcomings of systems, specifically for African-American people and people from the African diaspora. Lull’s strength coming in his nature to engage others across difference in those conversations, questioning not only the systems of oppression but people who have been oppressed themselves, realizing early that the breaking down of one requires the empowerment of the other. In 2009, Lull penned his first book, “The Only Black Student,” exploring life as a Black student navigating the public education space in a majority Black school, and then learning how to navigate life and academics at a college that was predominantly white. Fearless in his honesty and introspection, Lull used his life to create an actionable workbook for others to follow. Lull’s greatest attribute may indeed lay in his fearlessness to just be. Whether gracing the stage at a local comedy shop, writing a screenplay, hosting a vegan Eritrean food talent showcase, exploring and bringing new technology and thought products to market, or just Snap-chatting his Uber driver journey to a $39 Spirit Airlines flight to parts unknown, Lull’s commitment to truly LIVING inspires others to do the same. At his best, Lull brings the environment of authentic thought, fearless living everywhere he goes, and through his constant joy pushes others to the possibility of the same for themselves. He is unafraid to challenge the status quo because he is unafraid to challenge himself. He’s a son who honors his mother, cherishes his sister and truly is a friend to all. Lull gives of his time, talent and treasure in ways seen and unseen. Fear looks Lull in the face and lowers its gaze because it knows as we all do now that Lull Mengesha is indeed Black History, today! Black History Today: Tia, Shadeed & Khalil, a reflection of of a mothers love in her suns. As parents, you realize there is no handbook on raising YOUR children. Parenting is a collection of wisdom, acquired knowledge, intuition and when done right, unwavering and unconditional love. 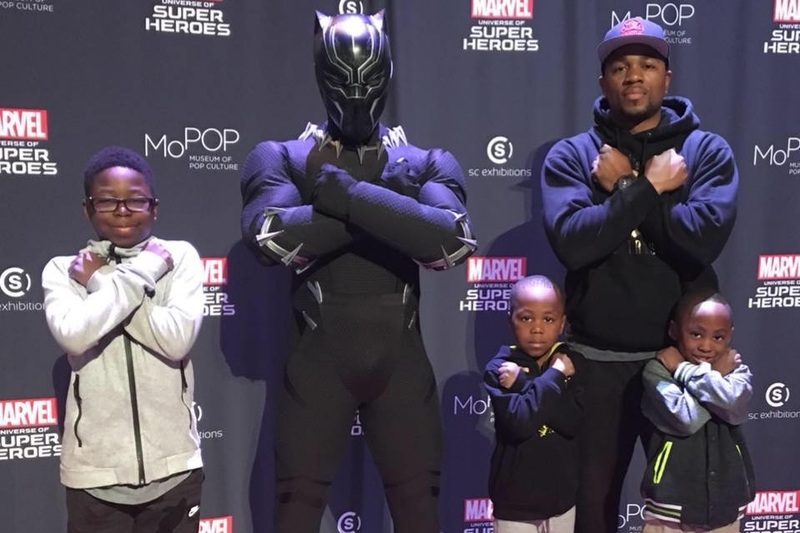 While the stereotype of single parenting in the African-American/Black community is a bit overhyped (shout out to the awesome families and fathers out there! ), the reality is being a parent without the full benefit of a partner is hard. The reflection of that hard work often times lays in the countless seconds, hours and days that go into the full-time job of parenting. Yet as that reflection becomes clearer, the greatness of that hard work begins to shine. Tia Shabazz and her two reflections of greatness, Shadeed and Khalil resonate that light. Parenting isn’t about perfection, it’s about the pursuit of a perfected love that manifests in your children but first manifest within you. A Seattle native, Tia’s love for herself manifest in her everyday pursuit of authentically being better for her family. As a young single mother early in her journey, fighting through those stereotypical stereotypes to lean on her family but most importantly herself and her faith, she walks the journey of parenting for and with her sons. Her commitment to them no more evident than knowing at any and every event, ceremony and academic endeavor possible, she would be there. The manifestation of her motherly love was in being there for her sons, she became a mother for others sons (and daughters). Her energy manifested in her oldest son Shadeed, light, and personality so immense that he truly radiates through any room he enters. Whether it be his unique voice, his infectious smile, his loyal heart or the perpetual motion (with or without music) he manifest that portion of her reflection. Shadeed a proud member of many championship basketball teams at the world-renowned Rainier Beach International Baccalaureate High School (aka Crown Jewel of the Southend, the Hall of Fame on Henderson, etc). Shadeed brings that energy with him in his constant pursuit of bettering himself, now in his third year of college still pursuing his dreams yet also beginning to reflect deeply on his passions and sharing that with others, not perfect yet in pursuit of purpose. The other shard of light from a mother peaceful and introspective, reflection in Khalil, currently a sophomore attending the University of San Francisco. Utilizing his talent as a basketball player to pursue passion and purpose as well (also an alumnus of RBHS), Khalil’s greatest attribute is in his quiet resolve and his acceptance to the call of servant leadership. In a world filled with young people who spend time yelling “look at me”, Khalil while rarely raising his voice is always yelling, “no, look at you!”. The consummate teammate and supporter, on and off any court he steps on. The true beauty of this family is the embodiment of their love together. Tia doesn’t shy away from her sons being her world and in return, they orbit around her emanating light of two stars shining brightly. Maybe, the most inspiring of their family growth was as Tia preached and practiced the value of education to her sons, her pursuit of more education for herself, enrolling in and completing college and further education alongside them. Tia, Shadeed & Khalil are representations of what parenting and family are, growing and learning together, always together. They are what is possible for any young family, a single-parent family who wonders can they do it, the Shabazz families answers, yes you can. It won’t be easy, there will be tears, disappointment, doubt, and heartache. Yet greater than all of those will be love and joy. Living testaments to how it can be done. Tia, Shadeed, and Khalil are pieces of living testimony of what’s possible, one mother and two bright and shining suns, they are joy, they are peace, they are love and they are Black History, today!